This Clown marionette (one of a pair called the Coppernobs) was the subject of a film made by Douglas Fisher in the late 1940's. 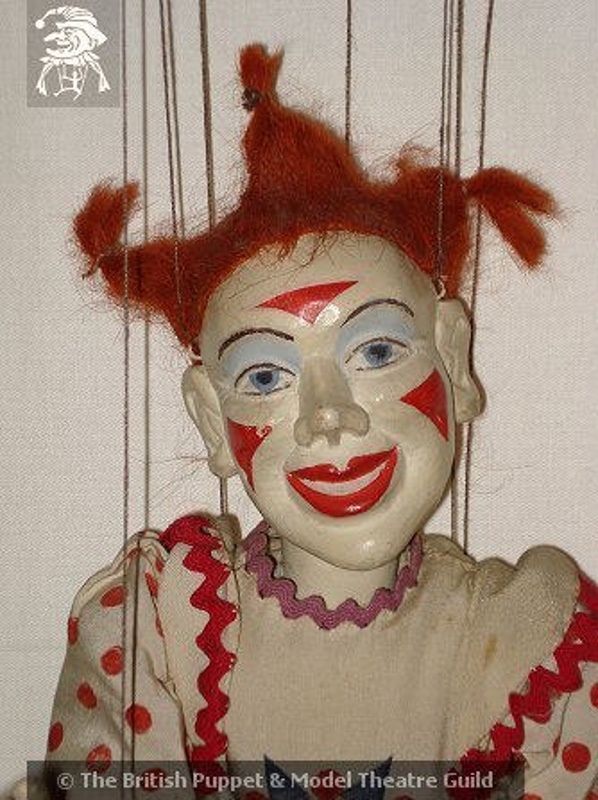 The film showed Waldo Lanchester carving a marionette from start to finish, including Waldo's wife Muriel making the costume. The filmed ended with a performance of the Lanchester's Grand Circus. Due to the fact that that making of the marionette was being filmed, the puppets are slightly smaller in size than the majority of the other Lanchester's marionettes, this was so that it could be carved over a shorter period of time.